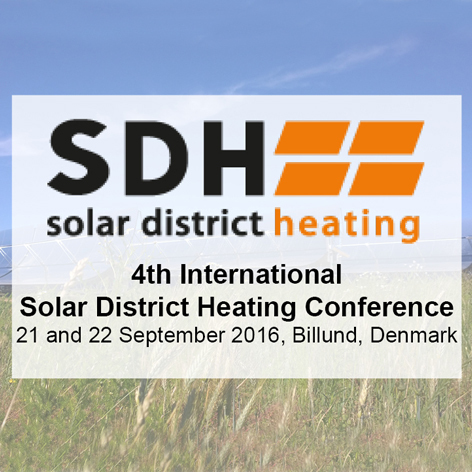 The fourth edition of the International Solar District Heating Conference will be held on the 21st and 22nd of September in Europe’s number 1 solar district heating market in Denmark and Thermaflex will be presenting. Solar DH initiatives are now greatly being supported by the EU and Thermaflex and many other organizations can help clean up many largely contaminated regions throughout Europe. The conference will share global experiences on system concepts and technologies for extensive solar heating plants and their integration into district heating networks. Those actively in this market as well as policy makers will share their knowledge and findings regarding market research and supporting innovations. Jan Honning, our Manager for the Nordic Region will be presenting at this event between 08.00 and 09.00 on Thursday the 22nd. During this presenation Jan will discuss Thermaflex’s direct involvement in remediating soil contamination and finding solutions for stakeholders to ensure safe, healthy ground for healthy future building. Innovative remediation technology uses microorganisms to degrade organic contaminants and bind pollutants in less harmful forms. Jans insightful presentation will describe Thermaflex’s victory in combining solar DH initiatives, with a clear view to inspire further discussion and share innovations around the connection and integration of renewable energies through District Heating. The conference also offers the opportunity to exchange ideas with manufacturers from all Europe and discover other great the initiatives and products on the market.